13 + 13 play-a-long songs on CD. Quarter note beats & eight note beats. Sixteen note beats, shuffle & bossanova. Coordination and fill-ins. 15 + 15 play-a-long songs on CD. 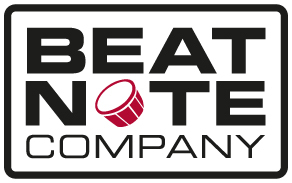 Eight note beats & sixteen note beats, shuffle & triplet beats. Coordination and fill-ins. Samba & salsa, Hard rock, reggae & calypso. Eight note beats, sixteen note beats & shuffle. jazz funk and jazz rock. paradiddle beats, samba & big band. Drum tuning & drum care. Jazz & Latin. 12/8 afro beats, odd meters, songo & Mozambique, rumba & samba. The grip, easy score reading, fundamental technique. Duets & ensemble. Music theory & cadences. Dotted notes, triplets & slurs. Thirty-two notes. Buzz roll, single strokes & double strokes. Accents, flams & drags. short pieces. Nine arrangements for 3-9 players. Beginner to advanced. Well-known melodies. Download even more play-a-long songs for every chapter in the books.